We're not a fan of 'Black Friday'. But we're mega excited.. The mountains are turning white. Who’s up for some skiing? So you remember that feeling when you were about 8 years old. That feeling the day before your birthday, or that feeling way after your bedtime on Christmas Eve? Yep that one… That feeling where you can’t really control your emotions, you certainly can’t sleep and you have the butterflies as you just want the morning to come so you can open all your presents! Well at Mountain Mavericks HQ and across Morzine we have that feeling! The snow is on it’s way and it looks like it’s here to stay! 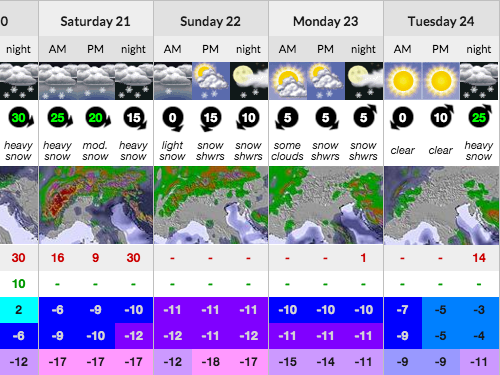 This weekend we are set for the first big dump of the season and the snow level is predicted to come all the way down to 500 metres, meaning that up top it’s going to be a skiers paradise! Cold weather looks to be set to accompany the heavy snowfall starting tomorrow, meaning it looks like the snow is here to stay and the early season will kick off with some great conditions for skiers and boarders. 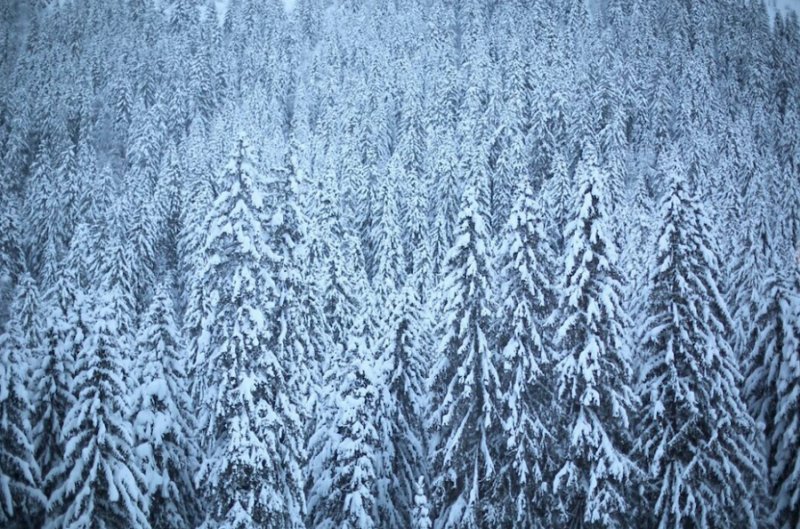 The forecast predicts snowfall of upto 1 metre at the top of the mountains – and those famous Morzine tree’s will turn white like the picture above. We can’t wait! For our loyal blog followers we are offering some early season deals, but this is very much on a first come first serve basis. So use up your remaining holiday time, book time off work and head out for a bargain break! We don’t tend to like commercial deals like ‘Black Friday’ but as it’s snowing this weekend we’ve looked at things a little differently. See our exclusive early season deals below and get in touch by Friday 27th to recieve our ‘White Friday’ Deals. Let’s do this winter! Date: 12th December until the 19th December. Deal: £60 per person per night in Chalet Kaplamaki. Chalet Kaplamaki is situated a close walk to the centre of town, has a sauna, hot-tub and stunning views of The Pleney. The chalet is situated in the centre of all the ski lifts and Mountain Mavericks will provide private in-resort driving so you can quickly get to the lifts and après events until 1.30am. Dine on gourmet meals each evening, ski untouched piste & powder and enjoy the resorts opening parties while only paying £60 per night! Flights from London – Geneva start at just £58 return – with Swiss Air providing free ski baggage! So in short – the start of the season will have quiet slopes with great snow, and you can stay with Mountain Mavericks.. sounds good to us! *This deal finishes on Friday 27th (White Friday!) at 10pm – get in touch with Laura on thechalet@mountainmavericks.com to reserve your place. Deal: £60 per person per night half board at Hotel L’Aubergade. Prefer a hotel setting rather than an chalet? 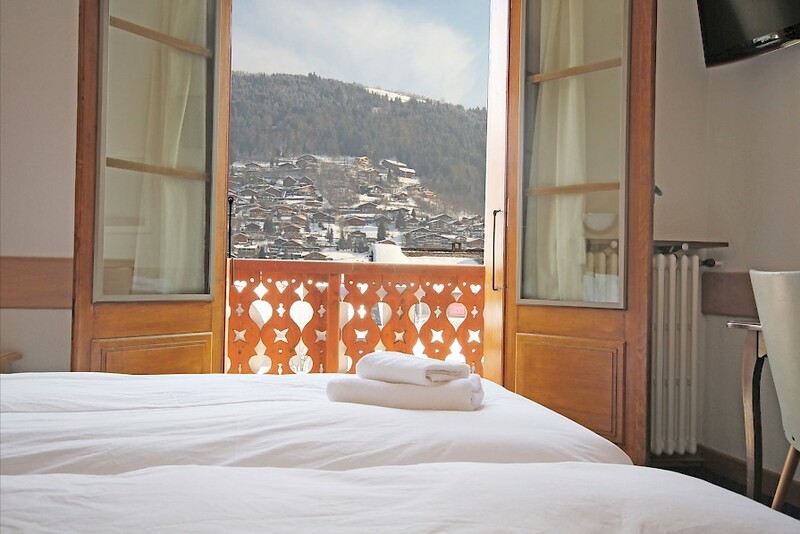 Hotel L’Aubergade is situated in the heart of Morzine with a large terrace area backing out onto the famous Pleney mountain. With a renouned cocktail list, a new food menu and rooms which overlook Morzine town or the ski slopes, this is the perfect place for keen skiers to get up the mountain and enjoy the fresh December conditions. At just £60 per night per person (based on a twin room) this is a complete bargain. We recomend getting in touch soon as once these rooms are full they’re full! As above. This offer stops at 10pm on Friday 27th November – get in touch with Laura on thechalet@mountainmavericks.com to secure your early season deal! Next: #SorryNotSorry – some pictures of snowy Morzine!